Today, we will be continuing our series on meal delivery services by focusing in one of the major cities in the Lone Star State. As you may know, having healthy, freshly prepared food can significantly impact postpartum recovery. Additionally, having proper nutrition is key for nursing mothers to be able to produce milk efficiently. Unfortunately, having access to these kinds of meals can prove to be a challenge once your baby has arrived. This is where Houston meal delivery services can get you out of a bind. With just a little bit of pre-planning, you can have some incredible meals delivered to your door that are packed with vitamins, nutrients, and flavor. 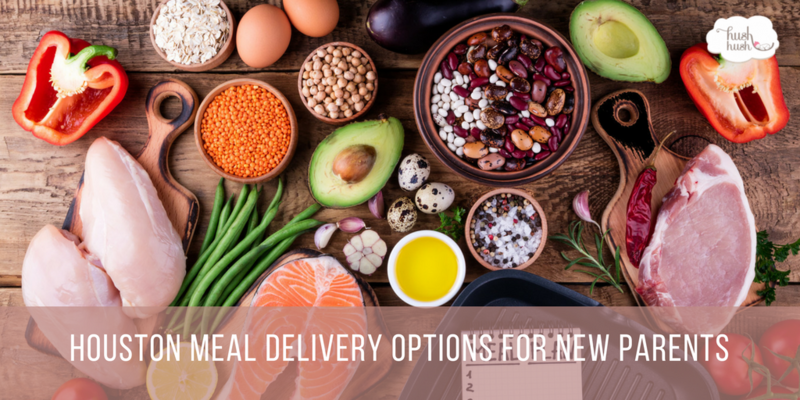 Keep reading to learn more about seven Houston meal delivery options available to new parents. Bee Fit Foods – with the goals of “simplifying meal planning” and “taking the guesswork out of eating healthy,” this Houston meal delivery option couldn’t be simpler to use. Fresh n’ Lean – an excellent option for vegan families in the Houston metro area, Fresh n’ Lean provides some 100% plant-based, organic, and gluten-free meals that are sure to satisfy the whole family. The Dinner Dude – offering both delivery and grab-and-go options, the Dinner Dude is designed to provide wonderful meals to busy families. They even allow same-day ordering for your convenience. Ionutrition – championing the philosophy that “great nutrition = great fuel,” this Houston meal delivery service provides completely organic cuisine with delivery that is always free. PROMEALS – based in Houston, this customized meal prep company provides calorie counted dishes that are freshly prepared and simply need to be re-heated when you are ready to enjoy them. An excellent choice for those that adhere to a specific type of diet. Maria’s Gourmet Kitchen – this membership based Houston meal delivery service provides twice weekly home delivery of food prepared by a graduate of the world-famous Le Cordon Bleu School of Culinary Arts in Paris, France. Snap Kitchen – Paleo, whole30, low carb, and more, Snap Kitchen is designed to make sticking to a diet easier. So if you and your family are committed to a certain type of lifestyle but don’t have the time to maintain it after the baby arrives, consider a meal plan from Snap Kitchen.